An integrated suite of real-time drilling engineering software. Operate from the rigsite or remotely via WITSML connection. Since 1998 Warrior Technology Services, Inc. has provided innovative software solutions for the oil and gas industry. With over 25 years experience in software development in the industry, Warrior is uniquely qualified to create fit-for-purpose software solutions that functionally meet and address the contemporary issues challenging the industry. Please take a moment to browse our commercial products below. And please contact us if you are interested in any of our services. 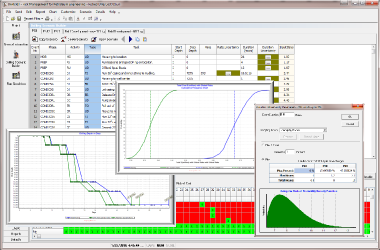 DRILL-IT© - An integrated suite of real-time drilling engineering software. Today's wells are often drilled with directional control at various angles from 0 to 90+ degrees of inclination. And the complexity of directional requirements can be critical whether avoiding nearby wells or landing the well in a horizontal pay zone. DRILL-IT© answers the call by providing advanced steering analysis and control whilst maintaining a good quality borehole.. Innovative directional drilling methods provide advanced steering analysis and control whilst minimizing wellbore tortuosity. Friction between the drill string and the wellbore is one of the most important factors in the drilling industry and being able to monitor it in real-time is critical in successfully drilling and completing (casing run) to planned well depth. The circulating system is the life-blood of the drilling process. It is a critical component that determines wellbore stability, reservoir protection and hole cleaning condition. GeoSteering presents an optimized and more effective method for drilling horizontal wells. 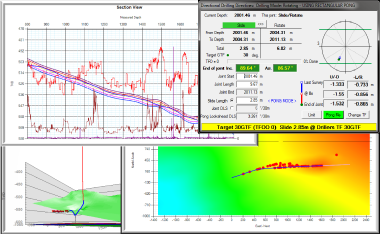 DRILL-IT© offers an integrated geosteering capability that reconciles with your 3D geo-model. Add the ability to quickly regenerate your wellplan in response to lithological variation and you are back in the sweet spot in short order. 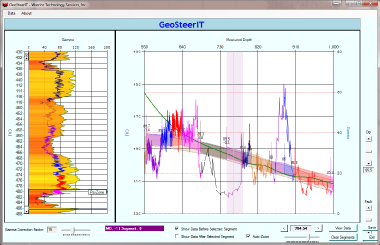 A highly effective geosteering software program designed to quickly perform advanced interpretations of geology in horizontal wells. Our goal is to provide a simple and effective geosteering software without the high cost... just what you need to get your geological interpretation done quickly and in affordable fashion. Warrior Technology Services, Inc. is a private company based in Houston, Tx. We have specialized in custom and innovative software solutions for the oil industry since 1998. Copyright © 2016 - All Rights Reserved - Warrior Technology Services, Inc.